A couple years ago, for my birthday, Dave got me a few miniatures from Reaper Miniatures' plastic resin line. 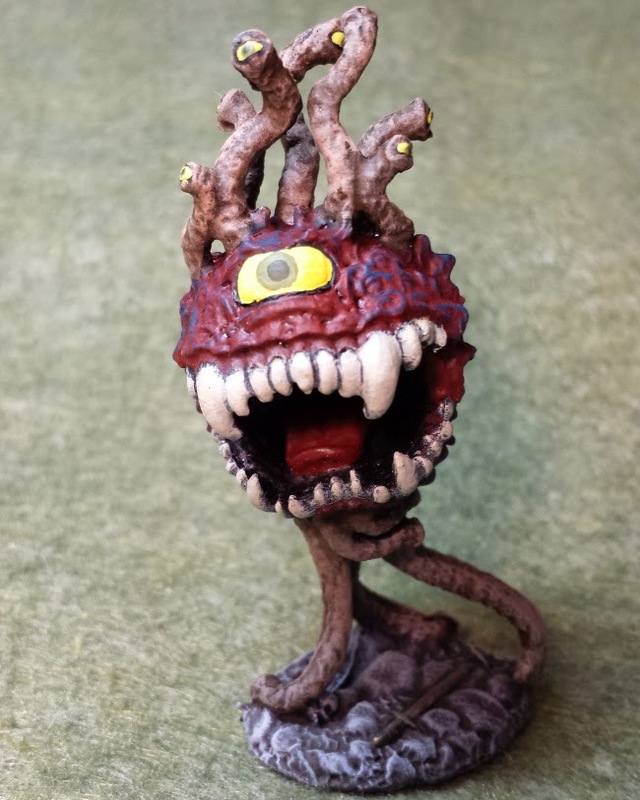 He got me the Rock Worm, A Wizard I haven't finished, and this Beholder. On a whim the other night I decided to finally sit down and give it a paint. Love the sword and skull on the base! 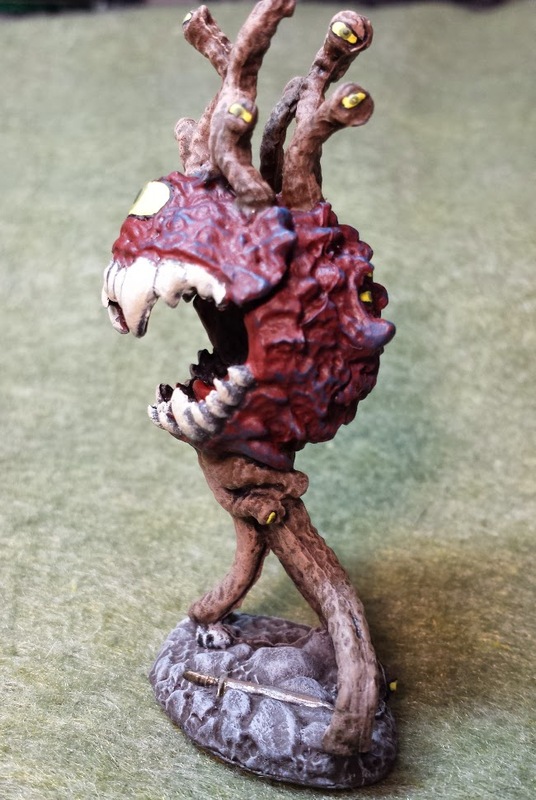 Being quite a challenging monster, I have never actually fought against a beholder, and know them by reputation alone. But those ever watching guardians are pretty damn scary, so I am glad to have one in my collection. Literal eyes in the back of your head. 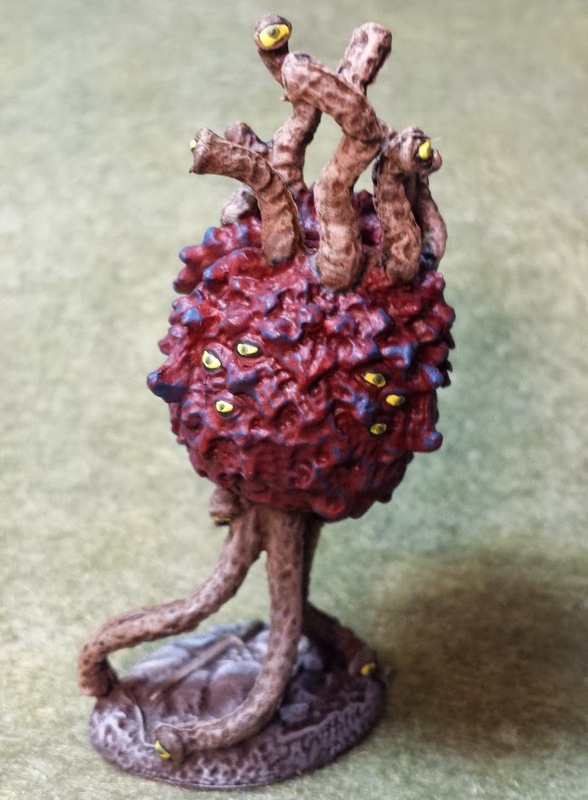 There have been some rumours that the next Maze of the Minotaur game will feature a Beholder, so with any luck I will have the opportunity to bash one's brains in soon.